The newly elected president of the National African Federated Chamber of Commerce and Industry (Nafcoc), Sabelo Macingwane, has vowed to rid the 54-year-old organisation of its multimillion-rand investment company, Silver Vanity Investments. Delivering his maiden speech as Nafcoc president at the Inkosi Albert Luthuli International Convention Centre in Durban, a few hours after being elected earlier in the week, Macingwane said the company was the poisoned chalice that has caused a lot of problems for the organisation. “I can assure you that in no time we are going to have to get rid of Silver Vanity,” he said, further describing the company as a cancer that has eaten up the organisation. He said the investment company, which has Gallagher Estate as its biggest asset, had been a bone of contention for much of the factionalism that plagued the organisation. Macingwane also promised that he was committed to restoring the founding values of the organisation as a champion of the interests of small business, pointing out that it has thus far failed to protect the interests of its members. The organisation has 11 affiliates, according to its website. “Nafcoc’s integrity and credibility shall be restored. We have a situation in this organisation where a resolution gets taken by the council and it does not get implemented because people are not accountable,” he said in a speech delivered shortly after the ceremonial handover of the presidency by his predecessor, Lawrence Mavundla. Macingwane admitted that although the organisation had structures in place, its membership was thin and the new leadership did not have any women or youth in the top five positions. “Nafcoc is not another VBS [Mutual Bank]. The council has mandated us to make sure that this organisation is corruption-free and if there is any question we are going to test it and take it to council and the council will decide. “Nothing will be hidden from the council. This organisation is for businesspeople, it is not an organisation for people to get salaries,” he said. Silver Vanity, which has 12 directors, including provincial leaders, has been the root of allegations of fraud and corruption among prominent members over the past few years. In his last formal address as president, Mavundla had a long list of advice for his successor, including on Silver Vanity, which was a tool for factionalism. “We had a very dangerous situation, I would warn the new leadership never to it repeat again. You must never create an investment company that will have tendencies of wanting to determine who must be the leader of Nafcoc,” Mavundla said, adding that he wanted the organisation to establish a full-time office in Parliament, which he wanted to work at. Mavundla urged the new leadership to pursue scrapping the Construction Industry Development Board gradings; support expropriation of land without compensation; and to pursue getting representation at the National Economic Development and Labour Council. 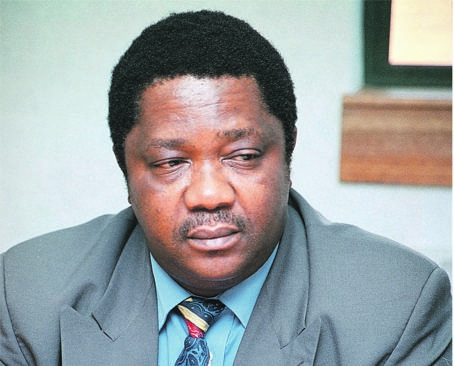 Macingwane was elected on a rerun of the presidential election after he was tied on votes with Motsepe Matlala, the National African Farmers’ Union president.